When searching for the best personal injury law firm in Bakersfield, California, look no further than attorney David Azizi. David can help you receive maximum compensation for your injuries. He builds your case and aggressively moves forward to get the settlement amount you need. Contact him today at 800-991-5292 for a free consultation and find out how much your case is worth. David Azizi has over 21 years of experience practicing personal injury law in Southern California. David has focused on personal injury law since he began his career in 1998. He has helped his clients recover over $55 million in his career. If you would like to speak to him directly contact his law firm today. Question: What happens if I do not have health insurance? Answer: Most of the time, the other driver’s insurance will cover medical bills. There are instances where neither the negligent driver or the victim has health insurance. If you file a lawsuit, the money owed to the hospital or medical provider will be paid out of the settlement you receive. Question: How much will I receive for damages? Answer: To determine the value of your case and the amount of time it will take for you to receive a settlement check, we will need to know about the accident, your injuries and other damages, both physical and emotional. Contact us at 1-800-991-5292 to discuss the specifics of your injury and accident. Question: I need the use of a motor vehicle, and mine was damaged in the accident. Who will pay for the car rental if my car is not usable? Answer: The rental bill will be paid by the negligent driver’s insurance. The “loss of use” of your vehicle is a reasonable amount paid for a rental car that is similar to your car for a reasonable time. Even if you do not rent a car and borrow one, you still have the right to receive the “loss of use” payment. There are a number of other questions that you may have about personal injury law. Do not hesitate to give us a call any time, or fill out our online form for a free consultation. Bakersfield, California, is located north of Los Angeles in Kern County. Interstate 5, US Route 58 and US Route 99 are some of the busier roads in this area. Other highly trafficked roads and highways include University Avenue, Chester Avenue and California Avenue. With a large number of people traveling on these roads each and every day, accidents are going to happen. That said, many car crashes could be avoided if all drivers were paying attention and were not negligent while behind the wheel of their vehicle. If you are looking for one of the best Southern California car accident lawyers, contact the Law Offices of David Azizi today. A woman about to step into a spill in a retail store. Premises liability cases, most commonly slip and fall and trip and fall cases, are common. Whether you have been injured at a grocery store, restaurant, drug store or big box retailer, David has experience with these types of cases. Reach out to us today for a case review. Bakersfield is very close to the Los Padres National Forest and Sequoia National Forest which attracts a large number of motorcycle clubs and drivers. While most of these motorcycle drivers will enjoy their time there, some riders will get injured through no fault of their own. David has experience dealing with motorcycle accidents and will put the same energy into fighting your case. 18-Wheeler trucks cause significant damage in an accident. Interstate 5 is one of the most highly trafficked roads by 18-wheeler trucks. A large number of trucks will travel through this area transporting goods from the southern part of California to the northern part of the state. Trucking accidents can have catastrophic consequences. 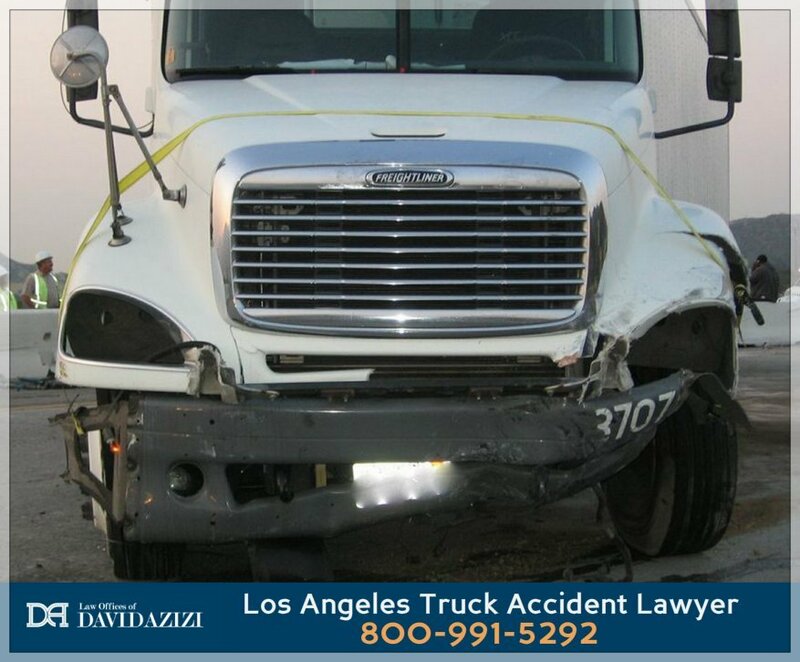 If you have been hurt in a California truck accident, let David help you through this difficult time and get the compensation you need. If you’ve been injured in Bakersfield by the negligence of other, call David Azizi at 800-991-5292 for a free case evaluation. David works hard for his clients to make sure they receive maximum compensation. He is always there to answer your questions.